from time to time for other interviews and lots of interesting stuff about Whisky. link to "Whisky und Frauen"
Occupation: I work at a large international financial institution. Whisky fan since: the 1990’s. “Addicted” since 2010. MM: How and when did your passion for whisky begin? I think I started to like my JW Black Label on the Rocks in the early nineties. Before that I drank mainly Wine and Beer. I think many people will recognize this pattern. Although it’s quite different in Brazil. Brazilians like to eat and drink sweet things. So many young people prefer to mix strong Alcohol with soft drinks or energy drinks rather than drinking beer that many of them consider to be bitter. And if they drink Beer, most prefer Brazilian brands as they have a high Corn content and are sweeter than the European beers. But back to whisky! I really became interested in Whisky around 2010. When I was in Holland at the time I got a present from my Dutch brother in law. It was a book called Whisky by Marc A.Hoffman. It describes the basic process of distilling whisky and gives an overview of the world’s most important production regions, distilleries and Brand names. I loved it! On my way back to Brazil I bought a couple of Single Malts at the Travel Retail Shop and when I got home I started tasting them. I was hooked! MM: What prompted you to blog about whisky? Back in Brazil I started to search the Internet for other books on the subject of Whisky and I ordered a copy of Jim Murray’s Whisky Bible. When I started to compare his notes with what I was tasting I became confused. I almost never agreed with his Notes. Now you should know that my other great Hobby is Rock Music from the Sixties, Seventies and, to a lesser extend, the Eighties. And I loved to write Reviews on those Albums. I didn’t do a lot with those reviews other than sending them to friends and colleagues at work. In early 2011, my Dutch brother in law suggested to post these Rock Reviews in a Blog. I thought about it and decided I would prefer to do a Blog about Whisky but use the Rock reviews as well. The ultimate “ Whisky on the Rocks” concept! I’m not a very technical guy so it took me a while to prepare the Blog. But in November 2011 Jan’s Whisky Paradise was ready to roll. MM: What have been the most important steps or events in your blogging career? In 2013 I renamed the Blog. Henceforth, Jan’s Whisky Paradise became Best Shot Whisky Reviews. At the same time a friend of mine provided me with a new lay-out. As a result, the site is much more accessible (also by handy), user-friendly and easier to find on the Internet. As I stated in the introduction, I work at a large international firm that has offices all over the world. This has helped me a lot to give the site more visibility all over the Globe. My colleagues have told their friends who have told their friends and so on. This is one of the main reasons I have so many visitors from all over the world. I was also extremely happy and, yes, proud that the Malt Whisky Yearbook 2014, edited by Ingvar Ronde mentioned Best Shot Whisky Reviews as one of the New Websites to Watch. This annual book is a must have for each Whisky Fan and has global credibility. I found it for instance in all the Distillery shops in Scotland that I visited last May together with my Dutch brother in law. 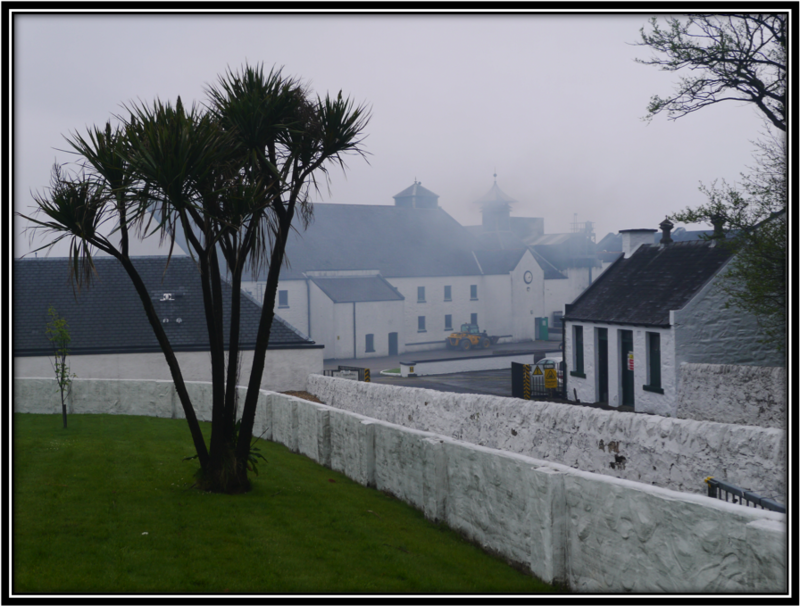 Needless to say that this Trip to Islay, Jura and Speyside was a Dr(e)am come true! MM: Where do you find information for your blog? Let’s start with the Whisky! In Brazil it’s impossible to buy Miniatures (except JW, Chivas and the likes) and samples. And many European and American suppliers do not ship Alcohol to Brazil. Also, Single Malt Whisky is not Big Business in Brazil as yet. This means you can only find the obvious suspects like Glenmorangie, Macallan, The Balvenie and Dalmore and at prices that are 3 to 4 times as high as the European average. And finally, the Travel Retail Shops at the Brazilian airports have a very limited choice of Malts and Blends. So I depend on shops in The Netherlands and Germany that do ship samples to Brazil or Miniatures that I buy when I’m in Europe. During my trip to Scotland last May I bought some 50 miniatures in Dufftown and Elgin. But I’m happy to say I’m well stocked for at least the coming three years. Most of the factual information I use in my posts comes from Wikipedia. I also have a large number of info material that friends of mine have picked up at the Distilleries during their trips to Scotland, Ireland, Canada, the USA and Japan. I brought a lot from Scotland myself as well. MM: Is there a particular positive or negative experience that you associate with blogging or whisky? or Demerara Sugar or Fruit. It’s much easier now to name what I’m Nosing and Tasting. In this respect I would like to give a Tip to people who think of starting their own Blog. Cocoa Power, all kinds of Fresh Fruits and Flowers, Cigar Boxes, Ashes, Leather, Salt etc. memories with what I’m tasting. MM: Do you have any special preferences in whisky - drinking? A special glass ? A special place or a certain time ? I do actually. I always taste the whisky in the evening when it’s relatively quiet and there’s less traffic. Sao Paulo is a very busy, smelly and loud city after all! That way I can better concentrate. Before tasting I avoid eating food with a strong flavor profile of course and I don’t go anywhere near perfumes and other strong flagrances. I always taste the whisky on two subsequent nights before posting the Tasting Notes. I use the Copita glass for Single Malts and the Glencairn for Blends. I take at least one hour per session and it doesn’t make any difference to me if it’s a simple Blend or a fine Single Malt. I also give all whisky at least one hour in the Glass to breathe air and open up. I try as much as possible to create similar circumstances for each tasting session. The only thing I can’t control of course is the Weather. In Sao Paulo it can be as cold as 7 Degrees Celsius or as hot as 38 degrees. This might affect the tasting circumstances of course buy Hey, What Can I Do!!! MM: How many whiskys have you tasted so far? I have posted Tasting Notes of around 375 different Whiskies. Mainly Single Malts (205) and Blends (84) from Scotland and Bourbon/Whiskey from the USA (30). But I try to cover the whole world and I have tasted Whiskies from Europe, Asia, Canada and Australia as well. So many whiskies, so little time! I should have started this Hobby a long time ago but that’s the way life goes! MM: What do you think about the rapid changes that we can observe in the whisky industry currently? It can’t be easy to be a Distiller of Whisky. Until recently at least, you had to look into your Crystal Ball and try to predict how Consumption and Production would be 12 years down the road, the time that was needed (or so it was thought for a long time) to produce a quality whisky. As a result, Supply and Demand almost never were in balance. If there was too much supply, the quality whisky survived while mediocre distilleries were closed down or mothballed. In times of higher demand than supply, quality tends to suffer and prices tend to rise to the occasion. During the last years Whisky Consumption has boomed for a number of reasons which caused a very tight Supply situation and increased prices. First of all the industry has seen a consolidation on the production side as we have seen in many other industrial sectors. A few large groups like Diageo Pernod Ricard, Remy Cointreau and Suntory control large volumes. These companies think High Volumes and High Margins and are willing to invest heavily in Marketing. In doing so they have opened lots of new markets, especially in Asia and Eastern Europe. Secondly, many people have the urge and the cash to collect whisky, mainly special editions or well regarded distilleries. That’s why we see so many gimmicks and countless special expressions sold like warm bread rolls at (too) high prices. We also have to keep in mind that more than 90% of all Whisky is sold as Blend. This is the real business for the producers where you can combine High Volumes, High Margins and Standard Quality. Many of the new Whisky drinkers are young people who simply use the Whisky to Blend with Soft – or Energy drinks like in Brazil. They are not really concerned with intrinsic quality of the Blend and tend to be receptive to Marketing. And the industry gladly provides on both counts. Of course the Industry is also vastly increasing the production capacity but that will come to play in a number of years only. In the meantime there is no other way out than to use younger whiskies in order to meet demand. And that’s where the whole controversial NAS discussion starts. Because the same industry that told consumers for as long as I can remember that good whisky needs many years in the dark corners of the Warehouse to gain flavor, aroma and quality now wants us to believe the exact opposite. That’s difficult to swallow! Personally I do not believe that NAS whiskies are worse by nature but i would have liked the industry to prepare the market in a different way. They could have simply explained that new methods have been introduced to speed up the contact between Spirit and Cask. Like using Quarter Casks or other smaller casks , introducing oak chips inside the casks ,injecting natural flavors in the casks or produce Whisky at locations with a higher average temperature so the Whisky matures more rapidly (Taiwan). As a result of all of the above, whisky prices are extremely high at the moment. This can only change if consumers refuse to pay the current prices or if the Supply/Demand situation reaches a better balance. The first is not (yet) the case although especially consumers in Western Europe and the USA start complaining. The latter is more difficult to predict. Personally I believe that especially young consumers have the habit of rapidly and drastically changing their consumption pattern as it is mostly based on Marketing and Fashion. What’s “Cool” at the moment. They could easily switch to Vodka or Gin and it’s not for nothing that the large Whisky producers also have vast interests in these spirits. Therefore it is quite possible that in 10 years or so the production of Whisky might be higher than Consumption with lower prices and higher quality . And part of the large new distilleries will simply switch to an other spirit. In the meantime consumers will look to alternatives whiskies. Small distilleries in a.o. the Netherlands, Belgium, France, Germany, Austria, Switzerland and Scandinavia are gaining ground and improving quality as they go. India and Australia are interesting alternatives as well. Well, let’s see in 10 years what became of my predictions! 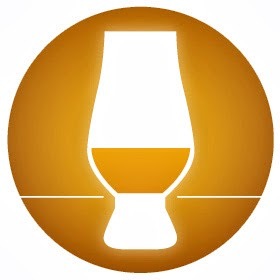 MM: Do you think that whisky bloggers can make a lasting impact on the whisky industry? This is a tricky question. I think they have an important part to play but can only do that if they maintain an objective profile. When mentioned in the Malt Whisky Yearbook 2014, the editor wrote about me the following: “ And besides, Jan is refreshingly honest – If he thinks a whisky is bad, he’ll say just that”. I am very proud of this statement. To be honest, there are hardly any bad whiskies around anymore. There’s just a lot of Spirit that’s not good enough, could be better, is indifferent or too expensive or any combination of the four. And I will inform my readers about that. Taste is always extremely personal but a reasonable Quality should be available to all consumers. When I look around in blogging land I notice that many Bloggers tend to review Good or Great Whiskies only. The sample is often provided by the industry. I have no problems with that but I also realize that 90% or more of the World population can’t ever afford these whiskies. So I try to provide Tasting Notes that include Rare Casks, Standard Single Malts and (Cheap) Blends. Always giving my honest personal opinion. For whatever that’s worth of course as my opinion is as good as yours! MM: Do you own a whisky collection? No, I don’t collect whiskies. In my opinion Whisky is for enjoying! I usually have maximum four full bottles opened at any given time. 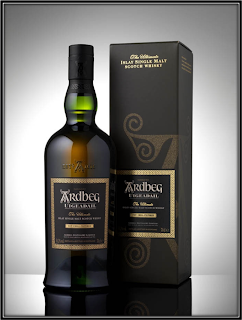 Usually one Islay, One Speyside or Highland, One Blended Scotch Whisky and One Bourbon. At the moment these are The Laphroaig 18 Years, The Glenlivet Nadurra 16 Years, JW Black Label and Wild Turkey. MM: How did family and friends react to your passion for whisky? Those of my friends and colleagues who like Whisky are among my faithful followers. Those who prefer Wines or Beer have asked me to start reviewing those as well. I would love to but I simply don’t have the time! All of them are pleased to see how this Hobby has developed so quickly. It’s amazing to see how many people from all over the world enter the site every day. This is my biggest incentive to go on and try to improve my Notes every day. But like I said earlier, I tend so spend perhaps a bit too much time behind the computer and I am grateful to my spouse that she allows it. But I will need to find a better balance between Whisky and other activities in the coming years. I do think that’s possible and I will explain it in the next question. MM: What can we expect in your Blog soon and in the future? I hope to retire in the near future and that will allow me to spend more time with my family while maintaining my active Blog profile. So that’s the Best of Both Worlds as Robert Palmer once sang. And that touches on my deepest desire. To create a real link between Whisky and Classic Rock Music. I don’t have fixed ideas about it as yet but I will have more time to think about that in the future. I’m also thinking of a new way to score whiskies. I’m not very satisfied with the 1-100 scale as most whiskies seem to move in the 80-90- range. But In the meantime I will try and maintain my current output of 2 to 3 Whisky reviews per week, always trying to improve on the quality and clarity of my notes. Finally I would like to thank all of my readers for their kind interest and support, my wife and son for their patience and Whisky und Frauen, Auch Fuer Maenner for the opportunity to do this interview! Marcadores: Interview Jan on German Website "Whisky und Frauen"